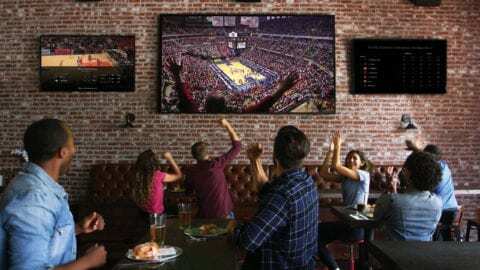 Comcast announced it is expanding its network to the City of New London giving residents and businesses a new choice for TV, internet, voice, home automation and wireless services. The buildout will benefit New London’s residents and the city’s growing business community. New London is home to many of the country’s leading liberal arts colleges; a nationally recognized arts museum; a concentration of National Register of Historic Places and Districts; one of the finest deep water harbors on the eastern seaboard; the region’s major performing arts center; and is home to the U.S. Coast Guard Academy, among other key businesses, institutions and organizations. The process to extend Comcast’s advanced network throughout the City of New London will continue through 2018. With this expansion, Comcast will be available in 84 communities in Connecticut and employs more than 1,300 people in local call centers, Xfinity Stores and technical operations centers which serve residential customers and businesses. Berlin is also home to the headquarter office for Comcast’s Western New England Region, which serves Connecticut in addition to Vermont, western Massachusetts, western New Hampshire and Carmel, N.Y.
Comcast recently announced a speed increase to some of its most popular Xfinity Internet service tiers marking the 17th increase in 17 years, in addition to announcing the launch of Gigabit speeds using DOCSIS 3.1 technology for both residential and business customers. These speeds are among the fastest and most widely available and include access to the nation’s largest Wi-Fi network of more than 19 million hotspots. Comcast will also offer Internet Essentials, the nation’s largest and most comprehensive high-speed Internet adoption program for low-income Americans. It provides qualified low-income families low-cost high-speed Internet service for $9.95 a month plus tax; the option to purchase an Internet-ready computer for under $150; and multiple options to access free digital literacy training in print, online and in person to qualified families. 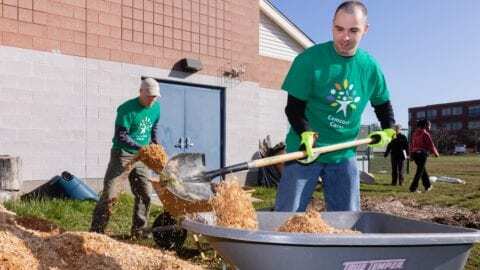 Comcast has a long history of giving back to the communities in which it serves and where its employees and customers live and work. Across Connecticut in 2017, Comcast/NBCUniversal provided more than $25 million in cash and in-kind support to community partners in the form of Comcast Foundation grants, sponsorships, public service announcements, scholarships and courtesy video and Internet services to schools, libraries, and Boys & Girls Clubs. In New London, Comcast partners with the United Way of Southeastern Connecticut and recently volunteered at the New London Community Meal Center. In addition, on Saturday, April 21st, Comcast partnered with the Child & Family Agency facility to landscape and spring clean B.P. Learned Mission as part of Comcast Cares Day, Comcast’s national day of volunteerism that brings together Comcast employees, their family and friends.